Congratulations! 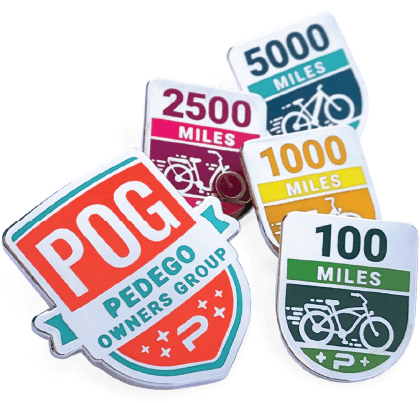 Enter your information below and we will send you a Pedego Mile Marker pin. Collect all four! I solemnly swear that my number of smiles far exceed the amount of miles I've put on my Pedego.